Our car was in perfect condition, upon our return. We waited awhile, at the port, for our ride back, however, kind service and assistance with our baggage made up for the wait! Good directions to get to parking lot. No delays getting us to and from the cruise ship with our luggage. Very efficient. 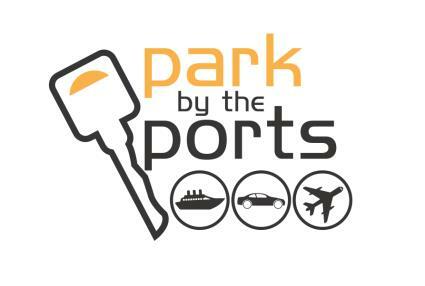 HOURS OF OPERATION: 7 a.m. - 3 p.m.
Drive into the lot for 'Park By The Ports' - located in the NW corner of the Dania Beach Casino parking lot. You will be assisted with check-in, and your luggage will be placed on the shuttle. We are mobile friendly so have your reservation ready on your phone or bring a hard copy of your SimpleAirportParking email receipt. Display your receipt on your dash. 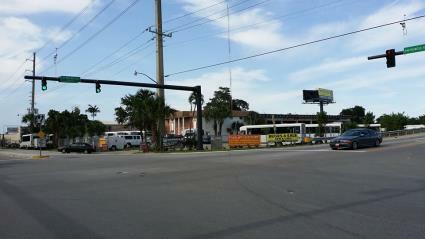 Free shuttle for up to 4 persons per car, $8.00 per person for every additional passenger. NO Balaeria / Bahamas Ferry transportation available. 10:30 a.m. - 1 p.m. is the busiest time to check in. Arrive later for quicker service and easier ship embarkation (virtually no lines at the ship after 1 p.m.). Shuttles make rounds approximately every 20 minutes from 7 a.m. - 10 a.m. and approximately every 40+ minutes from 10 a.m. - 3 p.m. All other hours are 'on demand' service; you must call for pickup: 954-727-5566. Disembark early for best service. 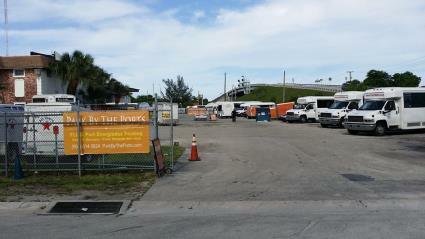 Wear stickers you received upon arrival to park and look for orange vans labeled "Park By The Ports." Drivers work for gratuity/tips. Thank you! -Hours: 7 a.m. - 3 p.m.